Whether you consider yourself an ingenue or a full-fledged savant when it comes to interior design, you’ve undoubtedly come across the word hygge. It basically means making everything as comfy as possible and we can thank the Danes for cornering the market on cozy with people from all over outfitting their cribs with plush accents. But hygge doesn’t have to be restrained to your home; it also seamlessly translates to your style. Think oversized sweaters (the key is to buy them a size up from your normal fit whenever possible), wool socks and scarves that envelop you, bordering on overwhelming. Black is also fundamental, so be on the lookout for ways to incorporate the dark hue into your repertoire, from puffer jackets to relaxed pants to funky footwear (paired with woolen socks, of course). UGGs, in this case, are completely acceptable. If you’re worried about coming across too somber and looking like you’ve been sucked into the winter doldrums, you can work in a Fair Isle-type pattern or a muted gray or brown or even a navy, but the idea is to use bright accents sparingly, if at all. 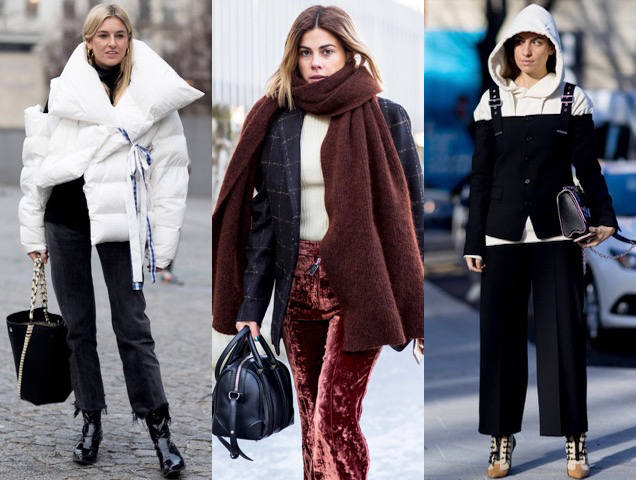 You’ll also need to become a master at layering to really soak up all hygge fashion has to offer, so start practicing by piling on a double dose of sweaters by placing a cardigan over another knit over your cashmere long-sleeve tee. Another important ingredient to this recipe is being bulky up top. 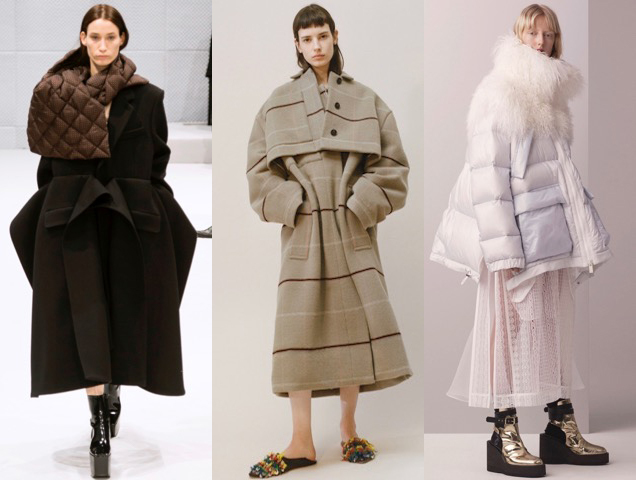 Brands like Balenciaga and Sacai have really taken this concept to heart with boxy silhouettes in the form of tundra-ready jackets that practically swallow you whole. 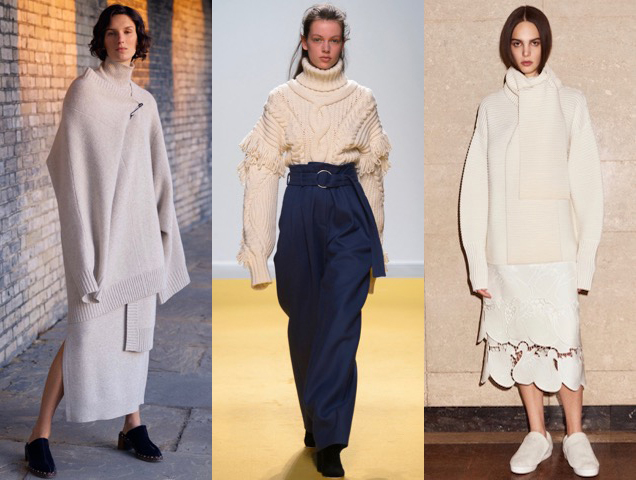 Other labels have embraced hygge in a more mainstream way by offering up outsize knits, usually layering them on top of one another. If you really want to seal the deal, there’s always room for a scarf to wrap things up. With all this good-natured coziness, hygge is ideal for the current winter climate where everyone is looking to stay warm while looking fashionable (not an easy task to accomplish when you’re facing a blistering wind or a heavy snowfall). That’s why we searched the internet for some hygge-inspired picks to warm up your winter wardrobe. While getting comfy may cost you, we made sure to include some pieces that will have you bundling up without spending a bundle. 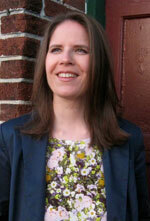 So, get ready to get a hit of hygge in your life via the slideshow below.